Uttrang Kaur sat humbly cross-legged on the floor and shared how she decided to become Sikh after hearing beautiful gurbani (Sikh compositions) being sung one day. Fateh Singh was resplendent in his Buddhist robes and spoke of his personal experiences during meditation and how he manages his inter-faith marriage. Rajinder Singh talked about how he overcame challenges and perceptions to get his TV show broadcast and the role of yoga in daily life. The panellists were asked a variety of questions which ranged from whether there is such a thing as free will, and whether moral systems are relative or absolute, through to what golden nuggets they had to share to ensure self-betterment on a daily basis. 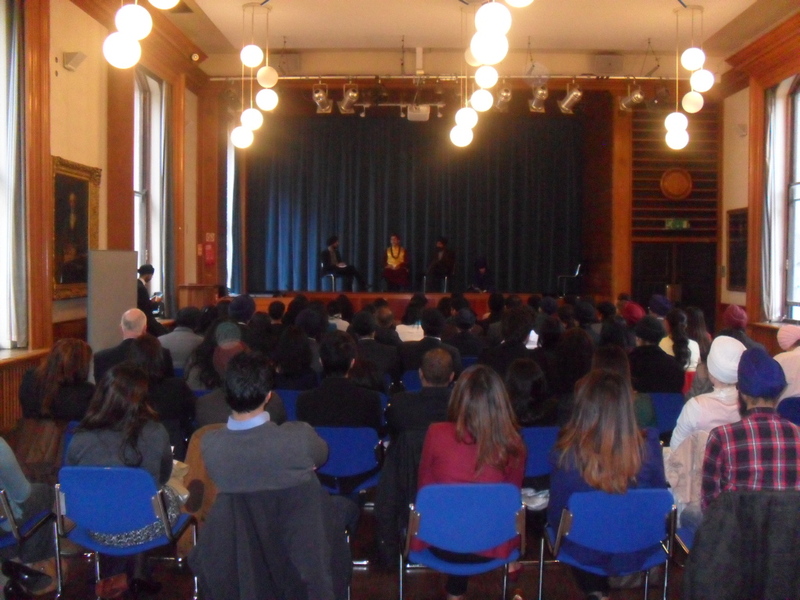 On a day when tragic circumstances had unfolded on the streets of London which was blamed on religion, the Spiritual Influences event showcased the importance of spirituality and of having respect for differing belief systems, making the event rather poignant. The evening ended with networking opportunity for audience members over hot beverages and Indian canapés. To see more pictures of the event please visit our facebook page. For more information about the event, please visit www.citysikhs.org.uk.